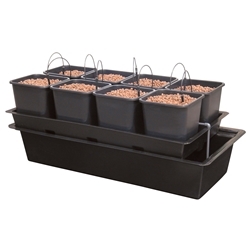 The AutoPot 24-Pot systems are where the Autopots really come into their own, where hand-watering is simply too much of a time commitment for most hobby gardeners. In these systems, plants grow in a chamber suspended above a reservoir containing a nutrient solution. 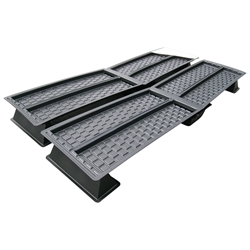 NFT Multi Duct systems apply the same principles of an NFT system but allow you design your own system to suit your needs. 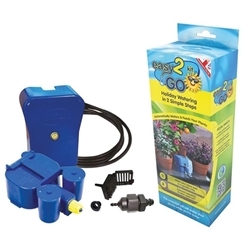 Easy2GO can be installed anywhere in the home, greenhouse, conservatory or patio and multiple kits can be linked together to keep larger volumes of plants watered while you’re away. This inexpensive, flexible system can be assembled in minutes and contains all fittings required to connect to a reservoir of your choice. 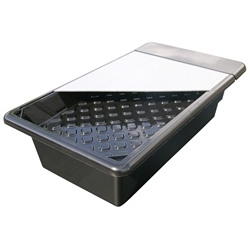 You simply need a water container with a minimum 30 litre capacity and a flat based gardening tray with a minimum depth of 30mm. Growing your own crops can be a demanding task, feeding and maintaining plant conditions can be laborious and time consuming. Our systems aim to make your growing experience easier and more time effective. 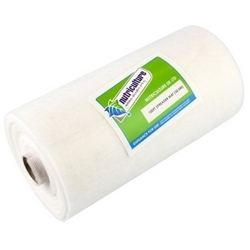 All of our hydroponic systems are high quality brands and value for money. 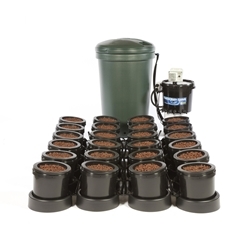 Our current range includes autopot 4 plant systems, an automatic watering system which regulates the supply of water to each pot by gravity alone – meaning that it requires no electricity, pumps or timers! GHE Aquafarm and Waterfarm, these systems work by plants growing in a chamber suspended above a reservoir containing a nutrient solution. 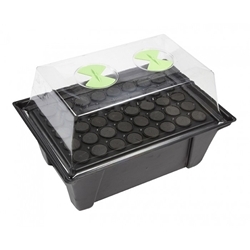 An air pump is used to force the solution up into the chamber containing the plants. 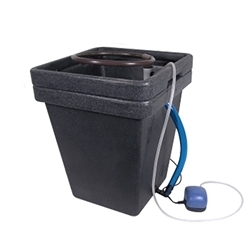 IWS Oxy pot in this system your plant's roots are constantly submerged in a nutrient solution which is aerated via an air pump, resulting in exceptional growth rates. 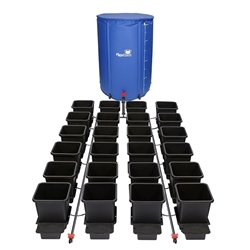 NFT Grow tank (Nutrient Film Technique) system, a thin layer of nutrient solution is constantly flowing over your plants' roots, meaning that there is a constant supply of nutrients available. 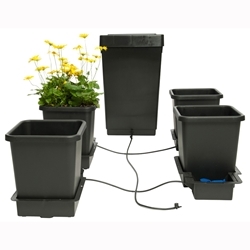 Wilma hydro organic systems plants grow in pots which are above a tank filled with a nutrient solution. This nutrient solution is pumped through drippers (to feed the plants) and then passes back into the reservoir tank. All of these systems offer different techniques, however all will ensure your plants are maintained well reducing the amount of work you need to do but increasing that final result. For more information on how to set up your system or which growing media you will need alongside your system, please ask a member of our team.